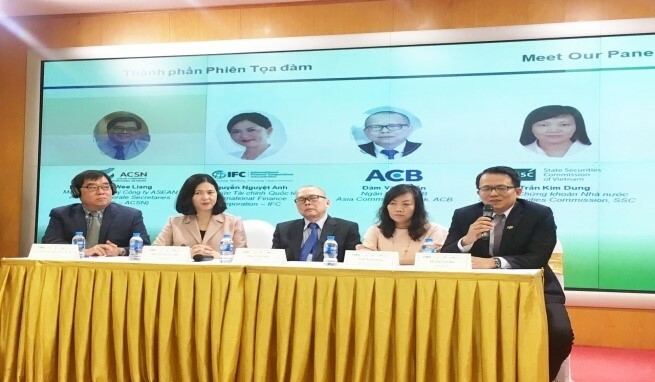 Hanoi, Vietnam, March 29, 2019 — this is the first GAP event organized by the Vietnam Institute of Directors (VIOD), with support from Hanoi Stock Exchange (HNX) and Ho Chi Minh Stock Exchange (HOSE) and International Finance Corporation (IFC) to better understand the Corporate Secretary’s Roles in the context of global integration, shaping the future’s success for Vietnamese companies. According to international trends, the Corporate Secretary plays an essential role in corporate governance and administrative management of the company. In Vietnam, the concept of Corporate Secretary is known from the guidelines and regulations on corporate governance for publicly listed companies and from a clause of the amended Law of Enterprise in 2014. In the market, there are quite a number of companies holding the position of Secretary of the Board or Chief of the Board Office, but most of these titles have not met the requirements of international standards and practices as well as those in ASEAN. At the event, an IFC expert shares about: “The Corporate Secretary: The Governance Professional” – a toolkit produced by the IFC Corporate Governance Department in order to provide guidance to help companies around the world enhance awareness and practice effectively on this topic. 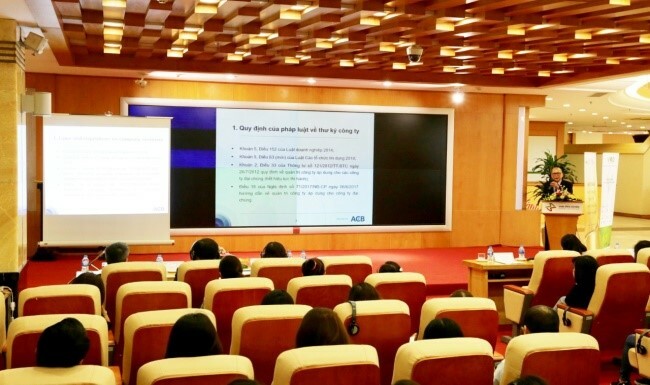 There were more than 80 participants who are in charge of corporate governance, directors, chief of the Board office or secretary of the Board, CEOs and senior executives from listed public companies on the HNX and HOSE, VIOD network’s members, regulators and media.